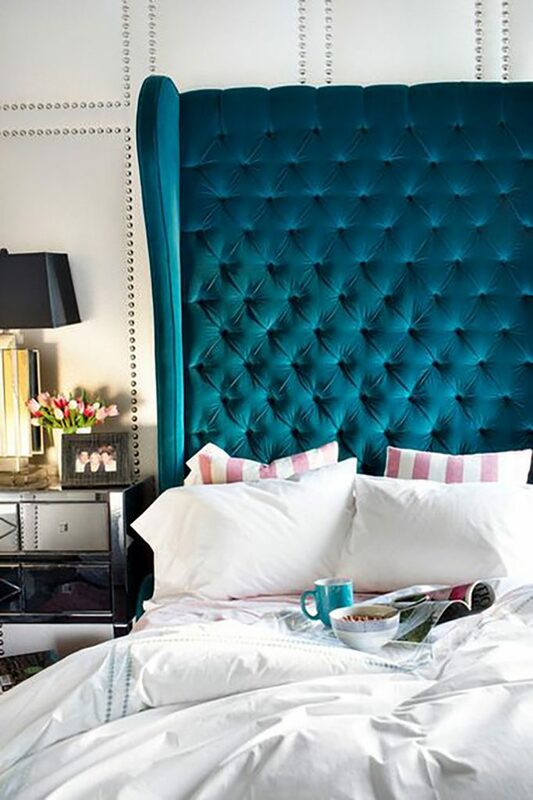 Comfort and opulence make interesting bedfellows in the rising trend to create cool bedrooms. 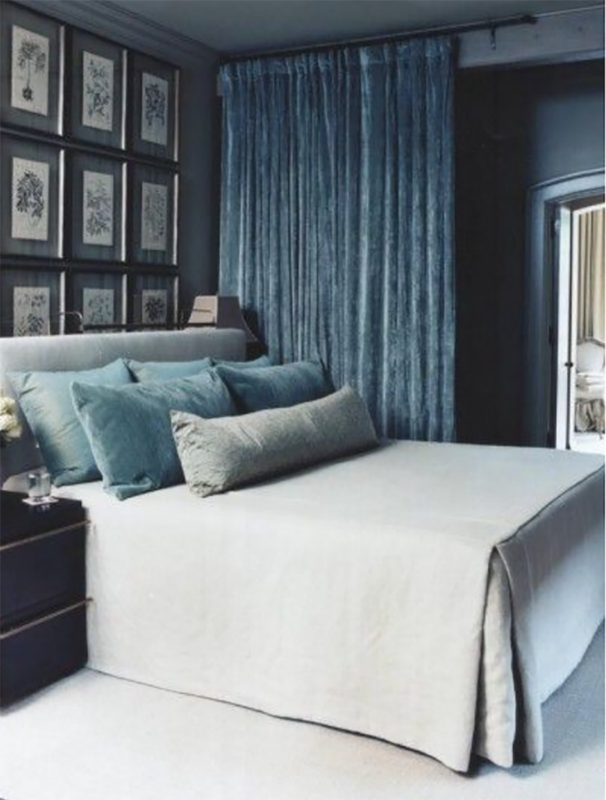 A bedroom could simply be a place where you happen to be while you’re unconscious, or it could be luxurious haven where you feel like royalty. You work and play hard, so you deserve a quiet sanctuary where you can enjoy the glory of doing absolutely nothing, or engage in more rigorous activities (I’m referring to Scrabble of course). ‘King’ and ‘Queen’ are words that don’t have to be limited to bed sizes. 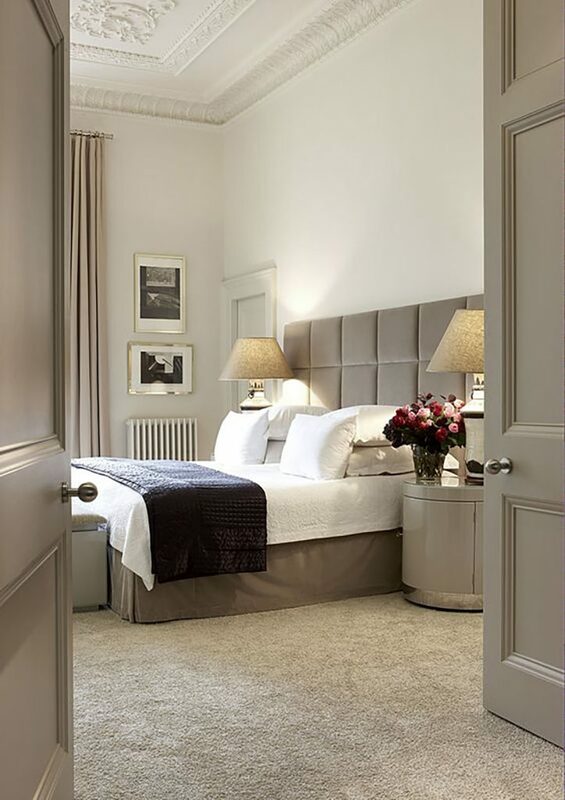 The cool bedrooms of famous monarchs are well within reach. 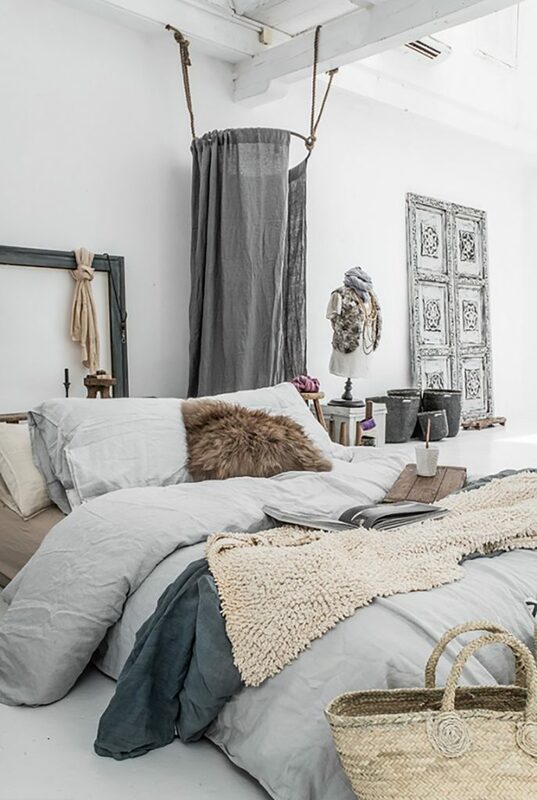 To turn your drab bedroom into a boudoir starts with the essentials—those images that come to mind when you remember period pieces or the art of antiquity: the majestic four-poster with a large, extravagant bedhead that adds scale. Buttons, studs, leather, mirror, this is pure Luxe! Come on folks; we’re spoiling ourselves here, so let’s do it properly. Can you ever have enough cushions? That’s a trick question of course. No self-respecting member of the nobility would settle for less than a small mountain of them, filled to excess with feathers. 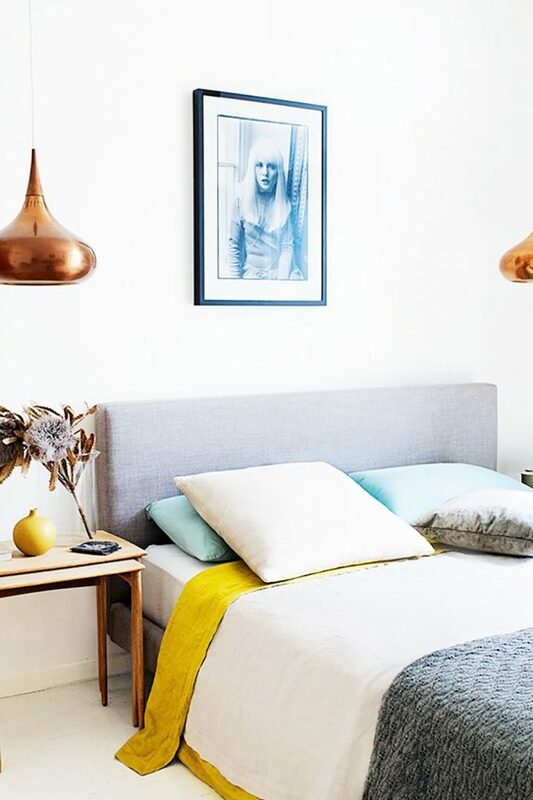 Cool bedrooms include layers of breathable bed linen. 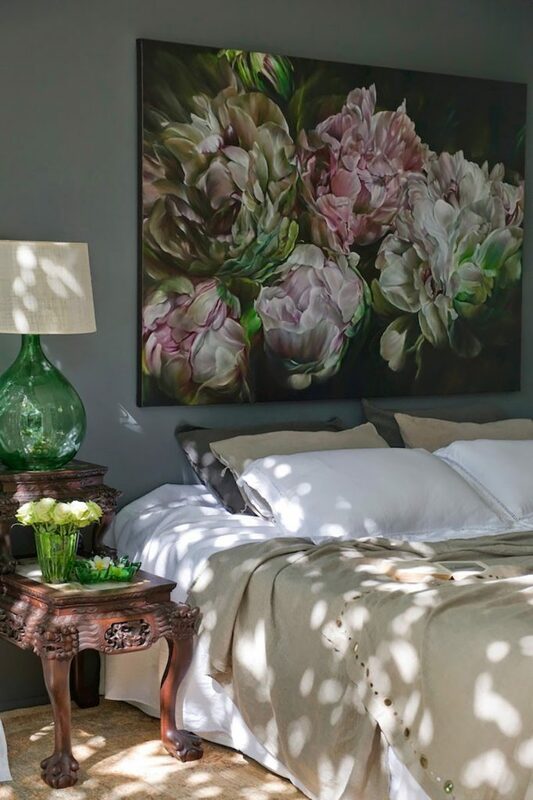 From the interior design styles of Coastal to Luxe, there’s a wonderfully excessive boudoir to fit most styles. 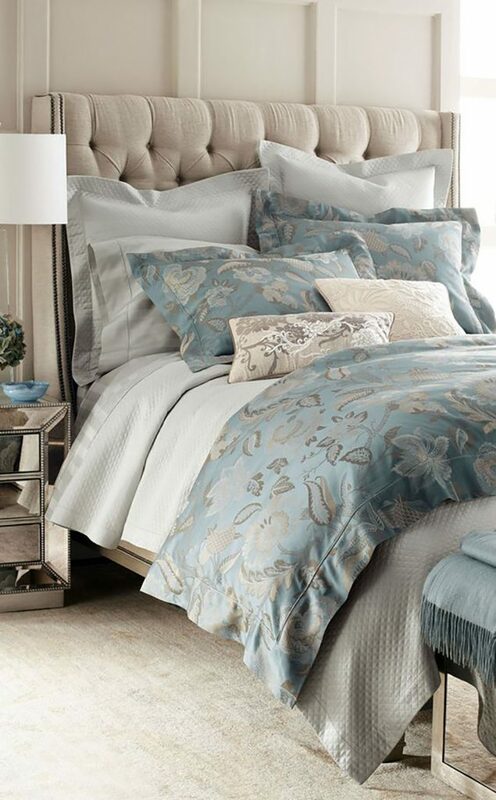 The softness of Coastal is an obvious way to guarantee comfort (cotton, hemp and bamboo) while Luxe fabrics for cushions, bedheads, ottomans and window treatments offer a truly stately appeal. In all cases, start by being bold, and that includes artwork, with special attention to frames. 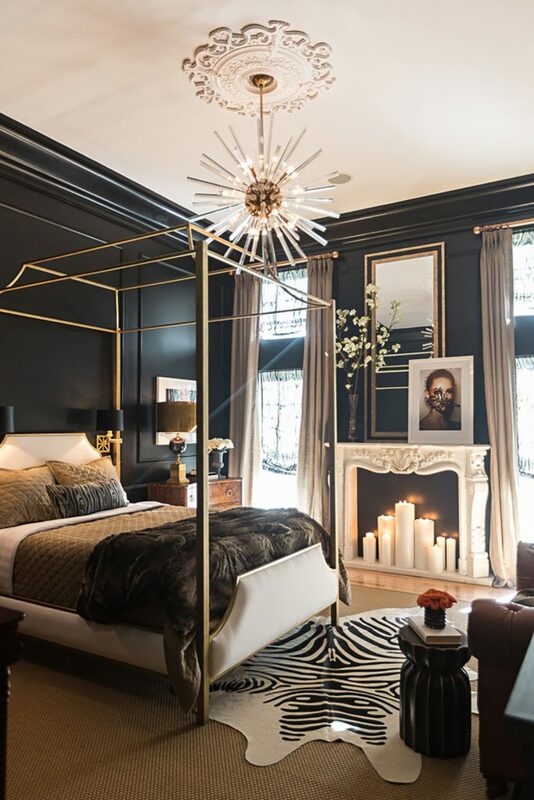 Similarly, the use of ornately framed mirrors helps to enlarge the space. As you decorate, treat each item like art, including a signature item of furniture—perhaps a large, luxurious armchair in a corner. 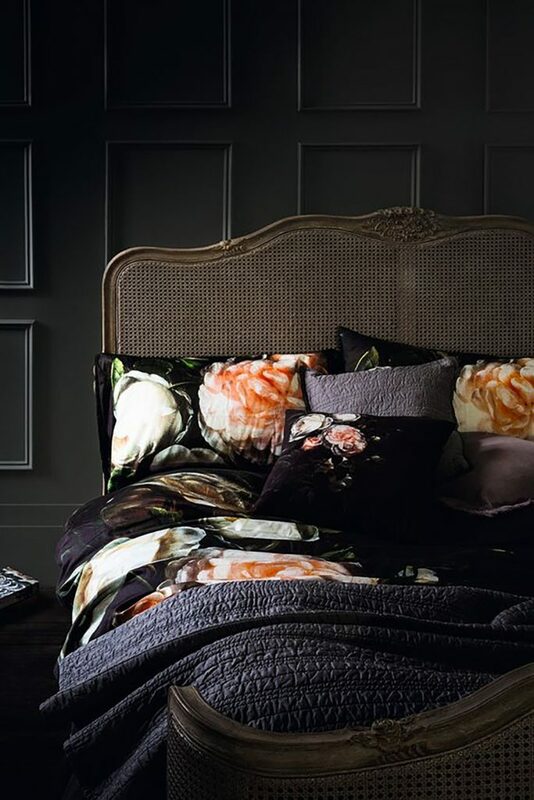 In stark contrast, colour is the one factor that requires a more subdued approach. 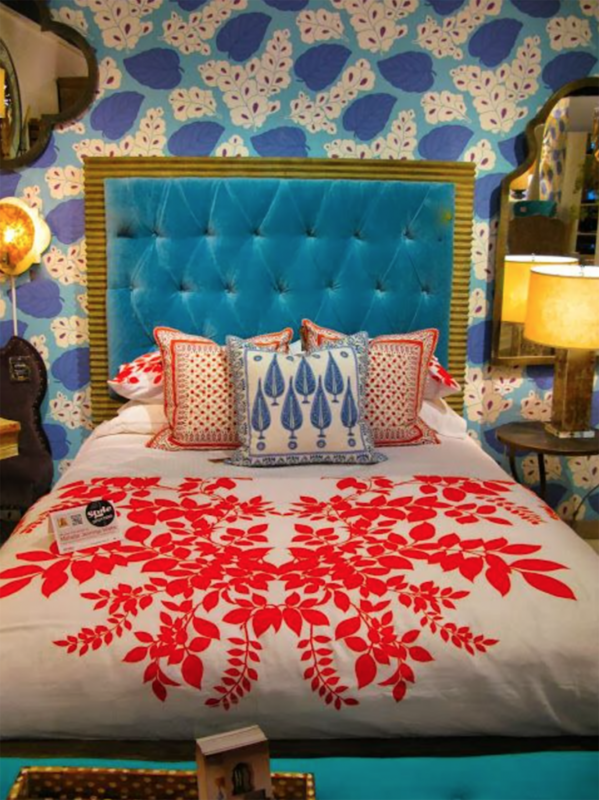 Make your bold statements with pattern, texture and scale instead. While classic boudoirs were lavish, they were not loud. Remember that this is a space where you need to truly feel relaxed. Lighting is crucial. Like your choices of colour, avoid anything that has a jarring or abrasive effect. 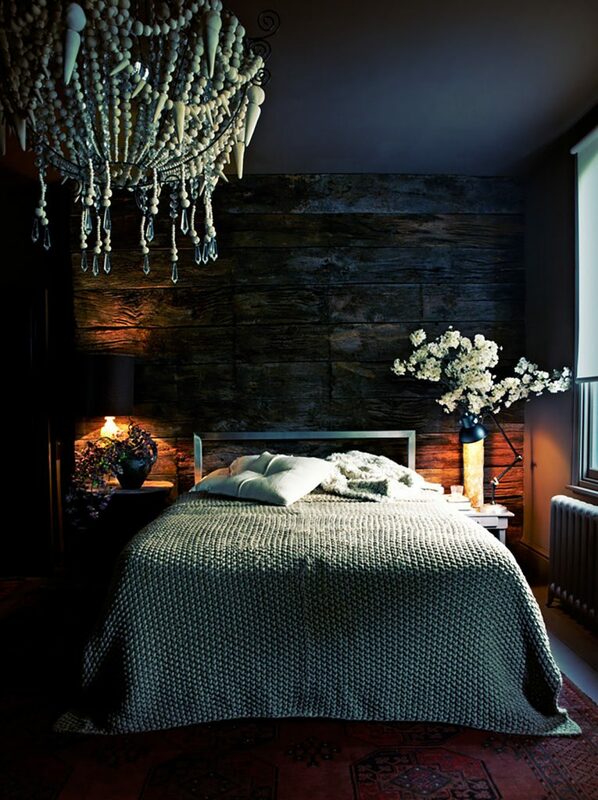 Stylish pendent lights are an effective way of adding a Luxe interior design feel. Organise the bits and bobs of your vanity area in crystal boxes and place creams in glass bottles. Along with Lucite make-up organisers, these garnishes add opulence while removing clutter. Having pampered your senses of touch and sight, don’t forget to add the right scents. 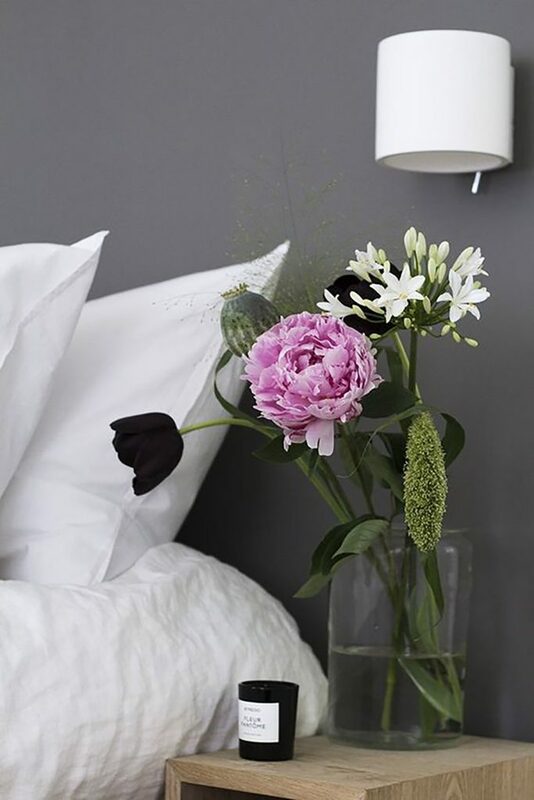 Fresh flowers provide the final touch, and give your boudoir a unique and changeable flourish that makes your bedroom feel like a hotel get-away. 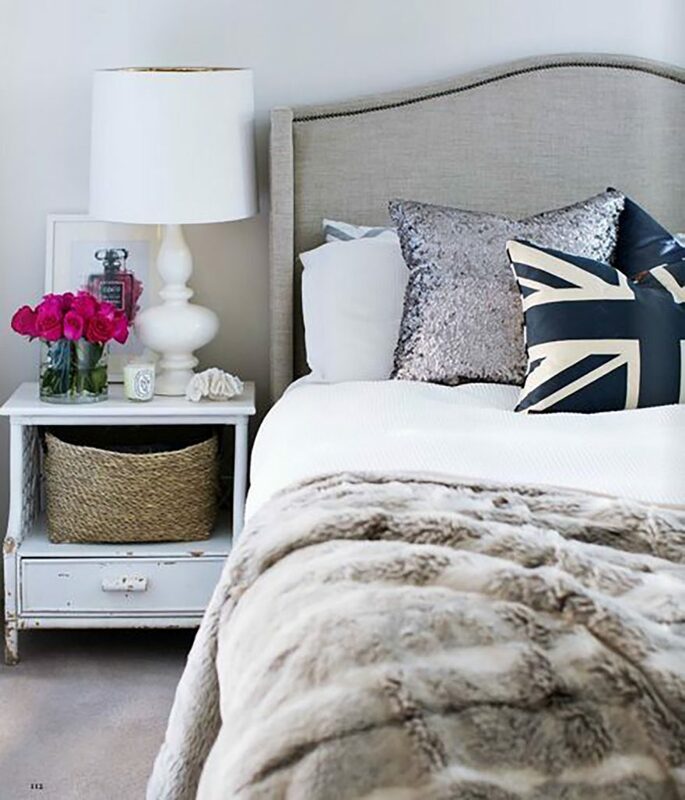 Why escape when you can spoil yourself at home?